Splash Cards - Shapes! Numbers! Colors! 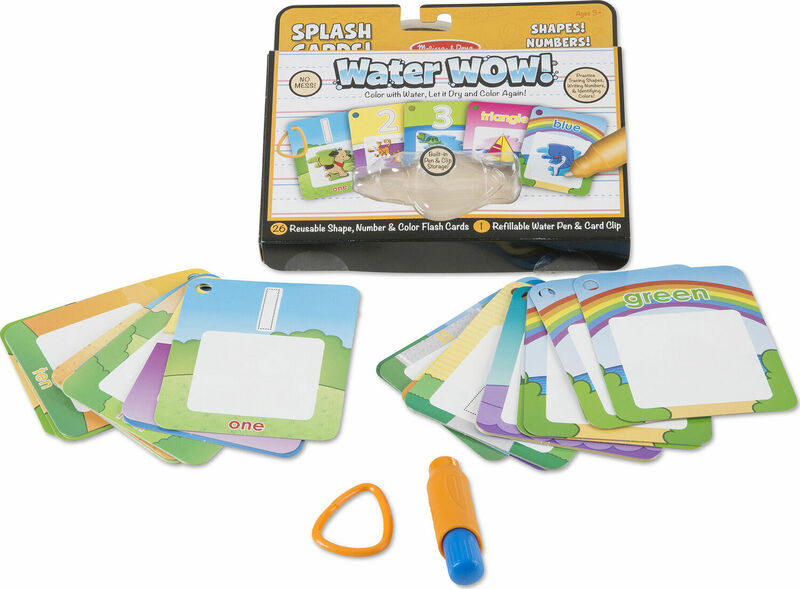 Discover flashcards and a reusable coloring activity in one! This set of 26 learn-and-play cards comes with a chunky, easy-to-grasp water pen that's perfect for preschoolers and beginning writers. 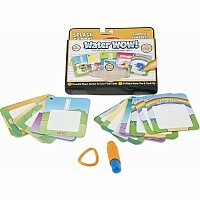 Each card features a number, shape, or color, together with a water-activated illustration to bring it to life. Kids love to see the blue whale, triangular sailboat, and trio of turtles appear as they color! The pictures and letters turn white again as each card dries, so they can be reused endlessly as children improve color recognition, counting skills, shape identification, and hand-eye coordination. 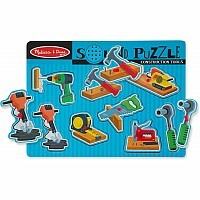 Store the whole set in the sturdy box, or clip the cards together with the included clasp to customize an on-the-go learning pack! Measures approximately: 1.20 x 3.60 x 8.40 inches..